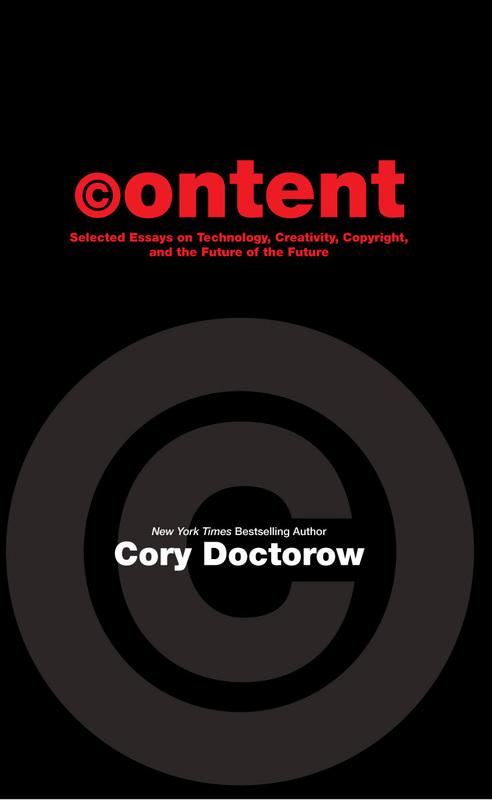 "Content: Selected Essays on Technology, Creativity, Copyright and the Future of the Future"
The entire text of the book is available in various formats for free download from http://craphound.com/content/download/, or for purchase at your favourite bookstore for US$14.95 (ISBN: 978-1-892391-81-0). The entire book is now available. Enjoy! I'm considering adding a final "afterthought" chapter with my own comments/observations and tips for anyone else wanting to perform this kind of reading. So if you enjoy this material, you may want to check back at some point in the future. This item was featured on BoingBoing! Jan Rubak speaks clearly and distinctly. In fact, this is sometimes too much of a good thing as his over-enunciation may annoy some people, while others might find it helpful. Other than the distinct consonants, there's really nothing to complain about in this reading. A superb collection expertly read. I've recommended it to many people, and even downloaded it and given the mp3 files to people on disc to increase the chance that they'll listen. I haven't quite finished listening to this book yet but i must say i'm both incredibly impressed by the "content" of this book and the performance of the "content" of this book. It's well thought out and equally well read. A true delight. I'm incredibly impressed with Jan's readings of my work. What a wonderful surprise and what a fantastic honor. Thank you, Jan!